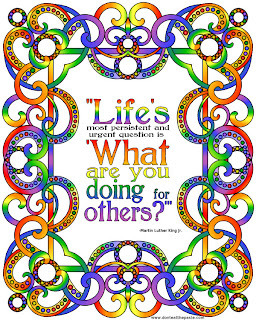 With Martin Luther King Jr. Day coming up soon, I wanted to make something to celebrate this amazing man and his life. The quote I picked is one that also reminds me of my mother because it's something she said a lot as well. 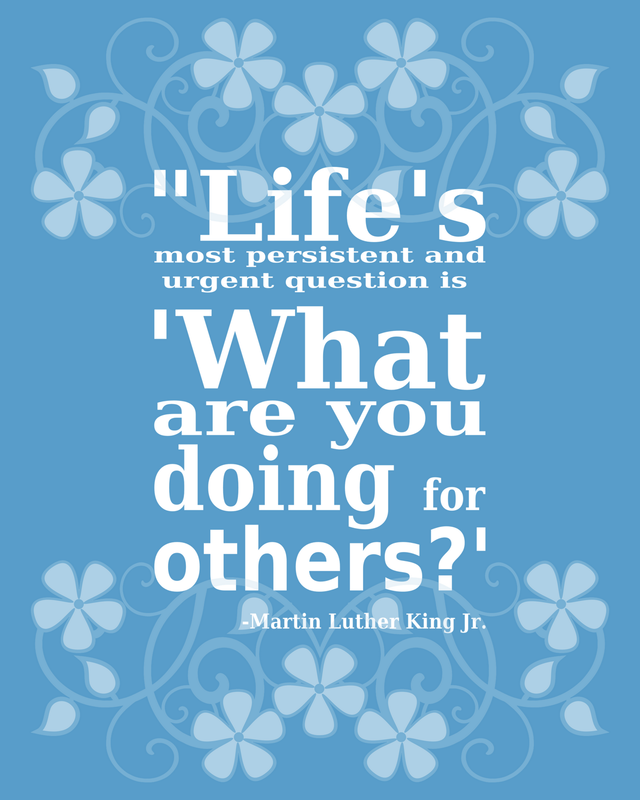 "Life's most persistent and urgent question is 'What are you doing for others?'". First I made this printable art piece, it's 300 ppi and will print out at 8x10 inches. 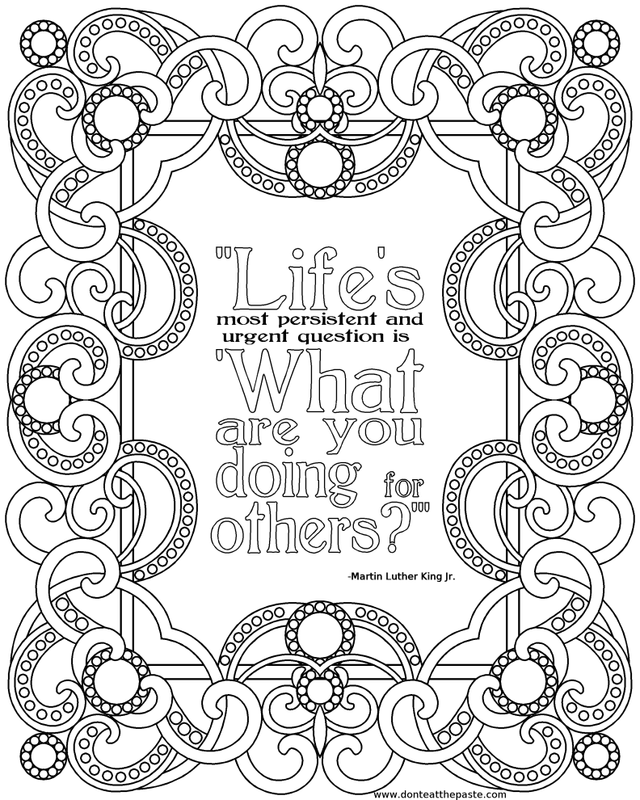 Click on the image for the full sized version and feel free to re-color it. 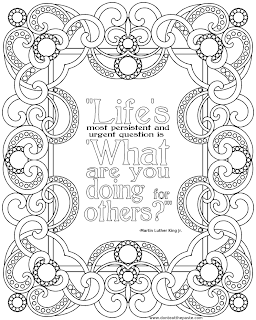 Then I decided that I wanted to do a coloring page with the same quote and worked on this yesterday. Drawing the frame was a lot of fun. Click on the image for the full sized version. This is beautiful! I especially like the coloring in option. 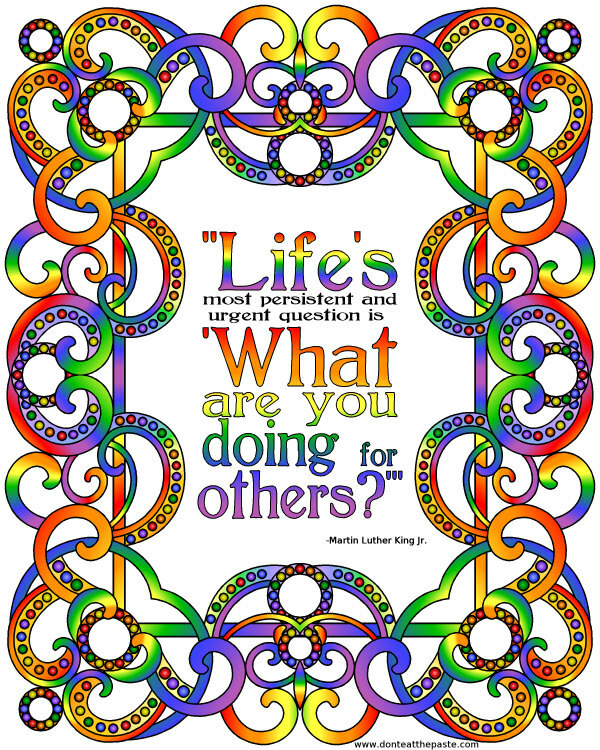 My focus lesson for my first graders this year is kindness, and we will closely read and understand this quote. 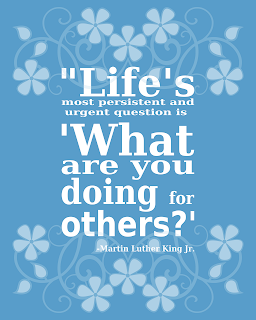 It will also work with my 6-8th graders on our social justice weekend that will culminate in joining the MLK Jr. parade downtown. Thank you for sharing it.